I am convinced it only takes a few simple decorative pieces to really increase the scare factor of your home. That's why I can appreciate all of these decorations by Necrotic Creations on Etsy. I want to describe this store as being a goldmine for a horror archaeologist. Come take a look what I mean! 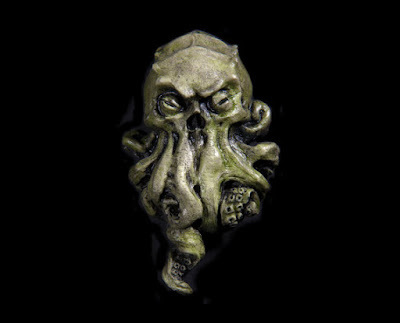 What I would give to bring this Cthulhu magnet to an office kitchen. I love creeping people out, I'll be honest. Can you see what I'm saying with the archaeology bit? This looks like the remnant of the oh so powerful Cthulhu. 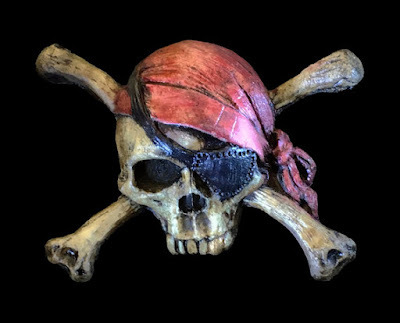 This doesn't even have to be for Halloween, but just for a person who loves pirates. This pirate skull and cross bone magnet would be a great guardian for your coupons! Or maybe not? As long as you give them their share of the treasure, things should be fine. 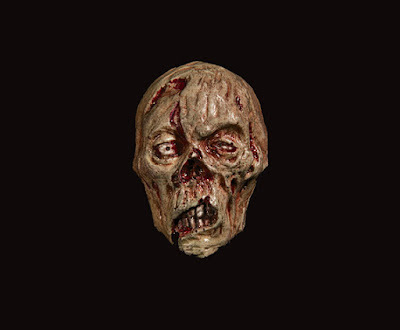 I want to get this common vampire wall plaque to scare the kids with. I could even trick them into thinking I'm an actual vampire slayer! Perhaps that's a little too cruel, but I think it would be hilarious. Well this is something I haven't seen before. 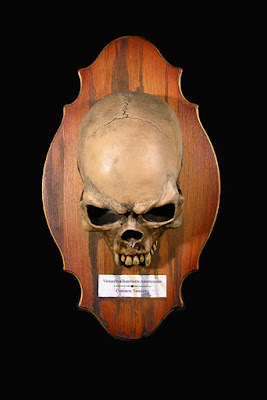 Wouldn't it be cool to display this common imp skull wall plaque? I can already imagine all the stories I could tell if I hung this on the wall. Who better to have at a Halloween party than the King of Death? 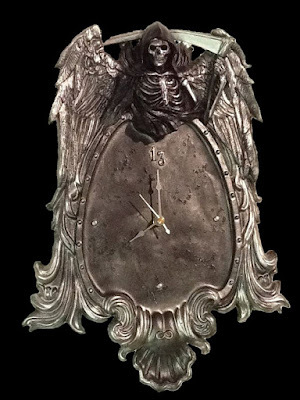 This Grim Reaper clock is ticking away as it counts down the hours, minutes, and seconds of your impending doom. I feel like it would be really weird to handle these zombie magnets. My brain is just telling me that their skin would fall off or they would bite. Rest assured, they would be stuck on the refrigerator, so they won't be consuming any brains any time soon. 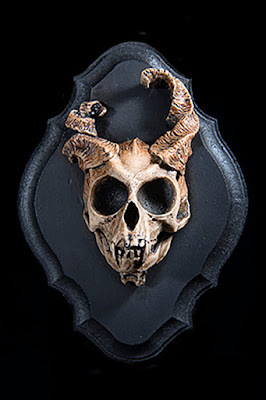 Greet your unlucky guests by hanging this devilish wall hanging skull above your front door. Your friends will never know that they are actually embarking on this epic journey through hell! At least, that's what I want them to think. 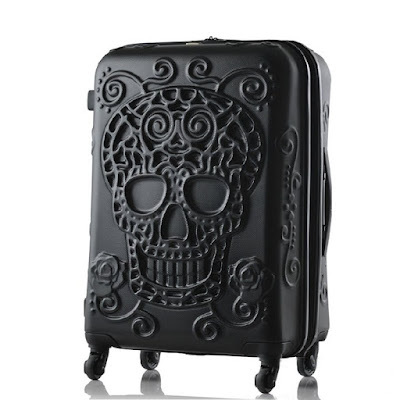 As you can see there are many decorative options for any kind of evil event. 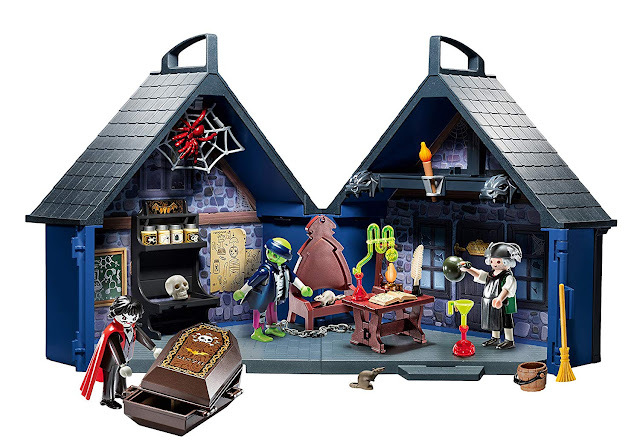 Don't you want to spook your friends and family with these pieces in your home? Check out other things from Necrotic Creations on Etsy. Don't forget to comment below and tell me what you would get!